Why would I need self storage in North Las Vegas, NV? There are a variety of reasons why you might need self-storage in North Las Vegas, NV. How much is a storage unit in North Las Vegas, NV? The cheapest storage unit in North Las Vegas, NV is $31.00 per month. What size storage units do you have available in North Las Vegas, NV? In North Las Vegas, NV we have sizes that range from 5'x5' to 10'x30' to suit your storage needs. How much is it for a 5'x5' storage unit in North Las Vegas, NV? The cheapest 5'x5' storage unit in North Las Vegas, NV is $31.00 per month. North Las Vegas is a booming city that borders the world-famous city of Las Vegas. It's also close to several other Clark County cities and townships, including Paradise, Henderson and Winchester. In addition to having convenient location, North Las Vegas is one of the fastest growing cities in the entire country. The city was first founded in 1917, but it was not officially incorporated until almost 30 years later. Today, it's home to a diverse population that's more than quadrupled since the 1990s. North Las Vegas is popular for its proximity to the glamour and excitement of the Las Vegas Strip, which is just a short drive away. You can enjoy a variety of entertainment options on the Strip, including shows, gambling and top-rated dining. Of course, there is more to the Las Vegas area than the Strip. You can also enjoy the natural desert beauty at Red Rock Canyon, and the Hoover Dam is just a short drive away. 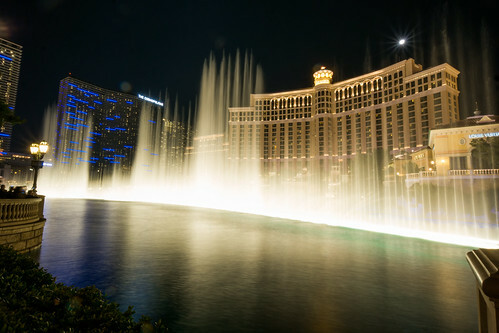 The nearby casinos, hotels and other large tourist attractions are major sources of employment in the North Las Vegas area. You can easily commute to central Las Vegas and its downtown area, where you can take advantage of a variety of jobs. Within North Las Vegas, manufacturing and warehouse distribution are two of the largest industries. Recently, high-tech companies started arriving in the city, adding even more opportunities to the local job market. Aliante is one of the newest neighborhoods in North Las Vegas, constructed in the early 2000s as a master-planned community. It's home to the popular Aliante Nature Discovery Park, which features a large waterfall and lake, a children's play area and several sport courts. Eldorado is a large community of single-family homes, located near many family-friendly amenities. Eldorado Park is a large green space where you can picnic and enjoy the sunny desert weather. Wann has a diverse population, with many residents bringing their vibrant Asian culture to the neighborhood. If you're looking for a large, single-family home, Wann has a uniquely high percentage of larger-than-average houses. Although the Apex Industrial Park has primarily large warehouses and manufacturing facilities, it's a notable neighborhood of North Las Vegas for one main reason: It's a growing development that provides a significant number of jobs, all within a short, convenient commute. The Clark County School District manages the public schools in North Las Vegas and the surrounding cities. If you're considering pursuing higher education in the city, the College of Southern Nevada has a large campus offering a large variety of degree programs. Utilities: NV Energy is the main electricity provider in the area, while the city of North Las Vegas manages the local water and sewer services. Garbage and Recycling: Curbside collection of trash and recyclables is available on a weekly basis. Your specific location will determine your scheduled pick-up days. Transportation: RTC Transit facilitates the city's public transportation network and provides convenient connections elsewhere in the metropolitan area. Although North Las Vegas is an extremely desirable relocation destination, it still remains a less expensive place to live than many other large cities in the American West. North Las Vegas is known for its affordable housing market, though properties are often bought and sold very quickly. You'll want to act quickly if you find something that fits your needs and budget. Our lowest priced units in North Las Vegas, NV average $31.00 per month. 101 people have reserved units in North Las Vegas, NV in the past 30 days. There is 1 location within North Las Vegas, NV's city limits. There is 1 location in North Las Vegas, NV that offers AC and Heating features.